Here is my rough layout for the new cover using the original classic font. You can see all the similar elements from the first edition cover, just rearranged. 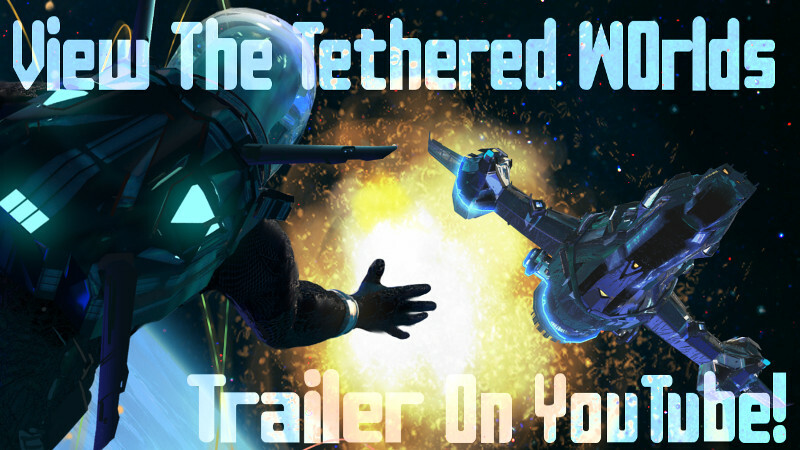 Again I called upon the fine artistic services of Lorenz Hideyoshi Ruwwe, who has painted all the Tethered Worlds covers up to now. I originally planned to have the spaceship coming through the hexagon on the first edition version, but could not get it to work well enough. This time we pulled it off. 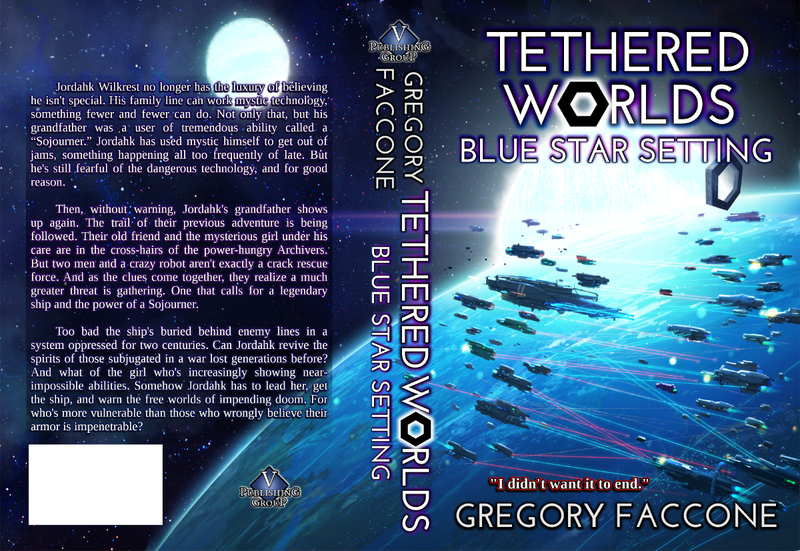 For the Blue Star Setting cover, I wanted to convey an epic space battle, and of course the blue star. Two massive fleets exchanging fire in a largely blue system, and with the hexagonal egress still nearby. I thought the egress placement was best highlighted on the sun’s edge. The white star is the second in this binary system. For the final, you will see it on the back cover. 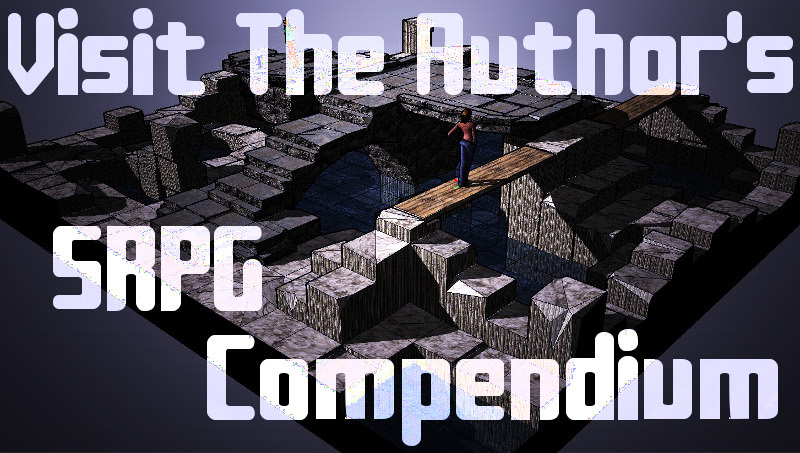 We moved some of the elements around for the final, including the title and author text. Flexibility is a must when everything is jockeying for position on a book cover. Lorenz did a fine job making the egress angle dramatic. 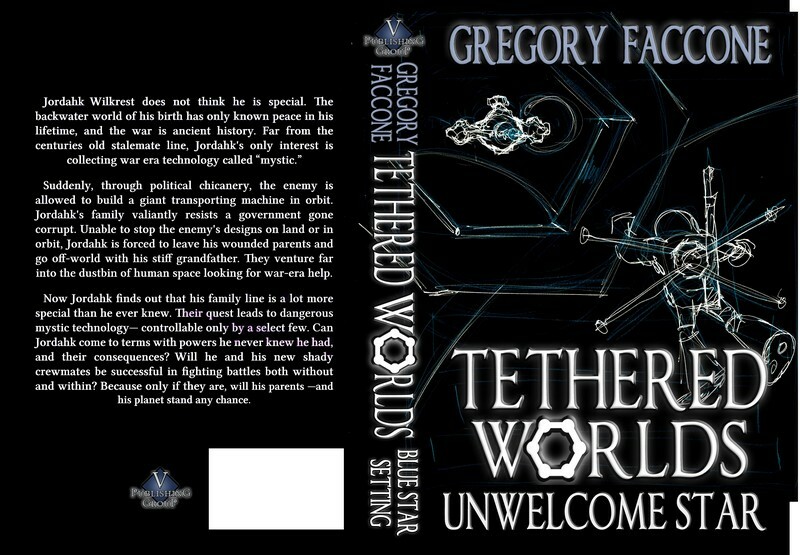 We want the Tethered Worlds experience to be a quality one both inside and on the cover. 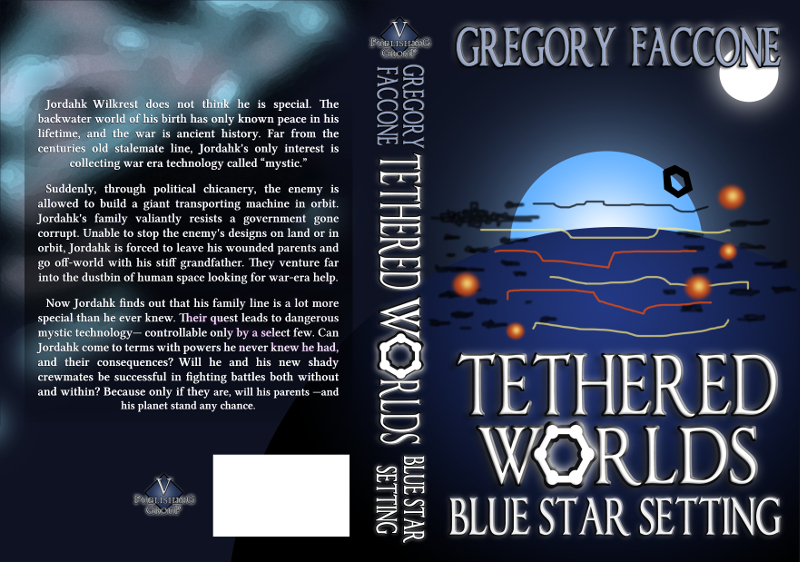 Now that you have enjoyed the covers and the story behind them, consider reading the series and find out what this hexagonal thing in space is all about. 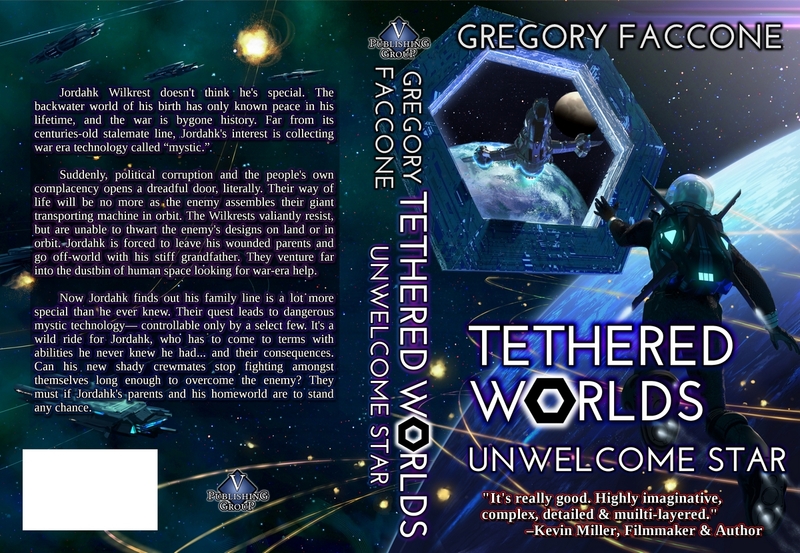 Gregory Faccone is author of the Tethered Worlds series, available at Amazon. He wants you to go on an adventure into space with his series. And honestly, it is a lot cheaper than trying to get to the international space station. ← Does Novel Length Still Matter in a Digital World?